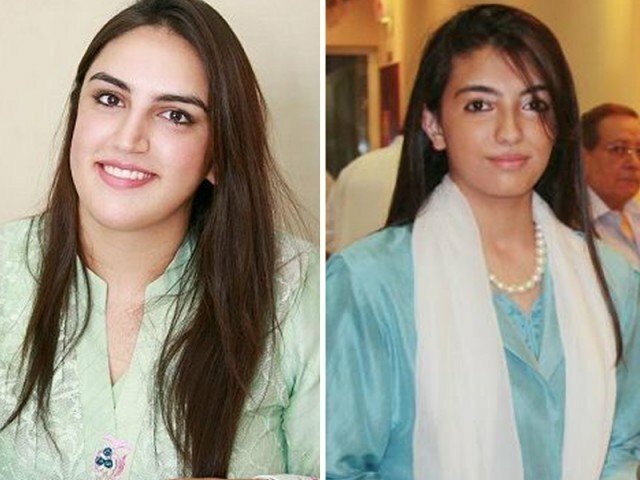 The largest online encyclopedia platform, Wikipedia, to which millions of people turn towards for information deleted the profiles of Bakhtawar Bhutto-Zardari and younger sister Aseefa Bhutto-Zardari because "the subject of the article does not have any notability by its own." A discussion page for the proposed deletion of Bakhtawar's Wikipedia page explains why the page was deleted. Firstly, it states that there was mass copy paste from Pakistan Peopleâ€™s Party (PPP) official Wikipedia page, and it contained more information about former prime minister Benazir Bhutto. Bakhtawarâ€™s Wikipedia page violated three policies of Wikimedia; copy paste, neutrality and primary source. Most of the information on the page wasnâ€™t gathered on her merits but on the merits of the Bhutto family, said the page. Quote: The subject is often in the news but there is no in-depth coverage on her. She is not a elected politician. She doesnâ€™t have a notable career either. a comment on the delete page said. Wikipediaâ€™s data showed that she was featured on the encyclopedia primarily because of analysis of news websites that have featured her. "Lets keep it away from Wiki,â€ another comment read. According to Wikipedia, Aseefa Bhutto-Zardariâ€™s page was deleted on April 10, 2017, however, it was reinstated after "2nd nomination." The deleted page information reads, "the result of this page has been redirected to Bhutto family". Quote: The notability of the subject is very similar to that of Bakhtawar Bhutto Zardari â€“ the latter is on the verge of deletion. The subject has not notability by its own, and sourcing is in passing and routine coverage, which means no in-depth coverage. The subject is not a elected politician thus fails and doesnâ€™t have a notable career either. A comment on Aseefa's page read. Although Wikipedia users and contributors lauded Aseefa's activism and work towards polio eradication, it claims that a person's profile can't be retained on Wikipedia unless it has met a certain criteria. Wikipedia users have labelled her as a "health activist", but argue that "working for the UN or any other top organisation doesnâ€™t make one notable. Quote: Despite that fact that both Aseefa and Bakhtawar are prominent Pakistani personalities, their profiles were taken down because of 'notability' concerns. As of now they failed to meet the notability criteria for 'politicians'. But if in the future, they get elected to a national or even a provincial legislature, stand-alone profiles would be created on them. Saqib Qayyum, member of Wikipedia's Help Desk and a volunteer editor told The Express Tribune. Users on the discussion pages argued for the merits or demerits of inclusion into the world of Wikipedia, but the arguments were laid to rest, and both pages deleted. One need not just be a member of a prominent family or have the Bhutto name attached to be featured on the page. One needs to have enough primary and secondary sources vouching for the work and popularity of a person to be featured. Very good decision. These silver spooned people think they own Pakistan.